Cathy Nelson Arkle is not only a great cook, world traveler (at least 54 countries and counting), accomplished artist, and humanitarian, she took the time to mail a huge box of cookbooks to help rebuild The Culinary Cellar after the flood. I love that Cathy grew up as an Iowa farm girl, as I think some of the best cooks come from Iowa! She certainly knows how to select wonderful books that now grace a shelf of the “new” Culinary Cellar still in progress. 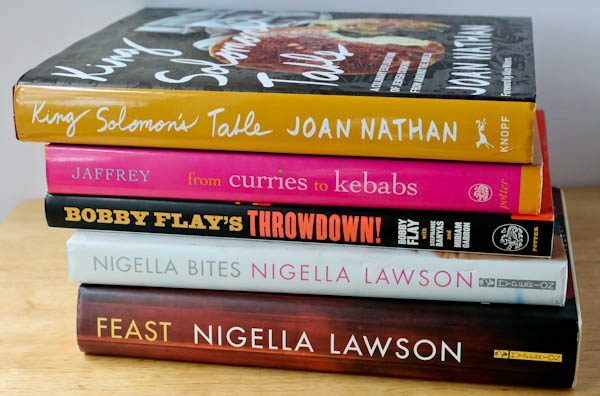 As you can see, I had many cookbooks from which to choose a recipe for today. I settled on this lovely book by Marta Sgubin who was cook, nanny, and beloved family member to Jackie Kennedy Onassis, Caroline, and John-John. (sorry – I will always think of him as John-John). Jackie and her children spent many weekends and holidays in Martha’s Vineyard, enjoying the sun, each other, and sipping Marta’s famous mint and citrus tea on the patio. I placed the roses behind the book as “Madam,” loved flowers. 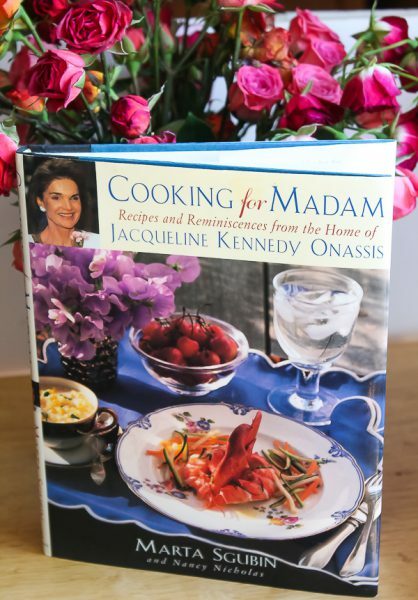 The cookbook is divided into interesting chapters about the life of Jackie Kennedy Onassis: Winter Dinner after Sledding in Central Park; Lunch on a Tray with One Friend; Easter Dinner in Greece; A Dinner Before the Ballet; Children’s Cookouts; Madam’s Birthday on Skorpios; A Summer Birthday Party; Family Favorites; Back to New York: Fall Meals; Thanksgiving and the Children’s Birthdays; Christmas Day Breakfast; and Day-to-Day Summer Eating on Martha’s Vineyard. I selected Marta’s famous summer iced tea recipe since it is almost summer in full swing, at least it feels like it today here around Chicago with 90 degree temperatures expected. The author says the family drank the tea all summer long. I can tell that it’s wonderful and refreshing! The tea is steeped with a handful of mint leaves, cooled, then orange juice and lime juice are added. It can be sweetened or unsweetened. I prefer unsweetened as did most of the family, except for Caroline who preferred sweet. 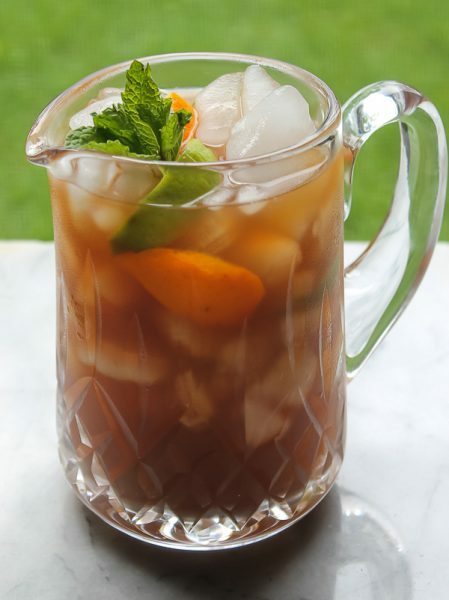 A sugar syrup is made for those who want sweet tea and could add as desired to their taste. Sugar syrup can be stored in the refrigerate if all is not used. 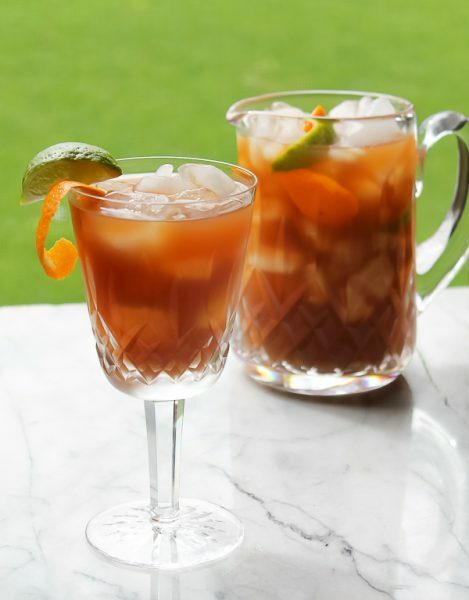 Slices of orange and lime can be added to the pitcher or just garnished on each glass. 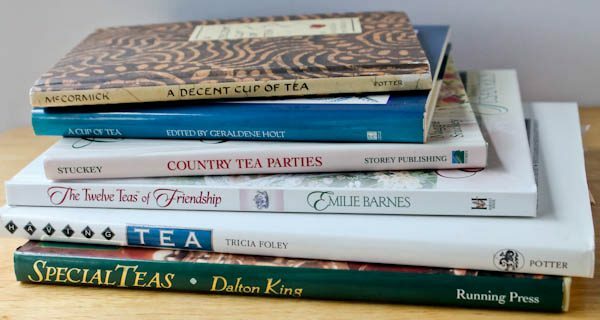 Thank you, Cathy, for all these great books and for iced tea recipe. It’s so refreshing on this hot day! Author: Marta Sgubin from "Cooking for Madam"
Place the tea bags or loose tea (in a tea ball) in a deep mixing bowl along with the fresh mint. Pour in the boiling water, cover, and let steep for 10-15 minutes. Add the orange juice and lime juice to the tea, then pour through a sieve into a pitcher. Cover the top of the pitcher with foil and refrigerate until very cold. Garnish pitcher or individual glasses with slices of orange and limes, and mint sprigs. Serve over ice. If you prefer sweet tea, bring 1 cup water and 1 cup sugar to a boil, then let cool. Put spoonfuls of the syrup into the prepared tea as desired. Start with small amounts, then taste and adjust. I love your posts! I really enjoy seeing the treasures you receive too. Thank you for sharing. Thank you so much, Anita. The kindness and generosity of everyone sending cookbooks is beyond words. I’m so grateful. 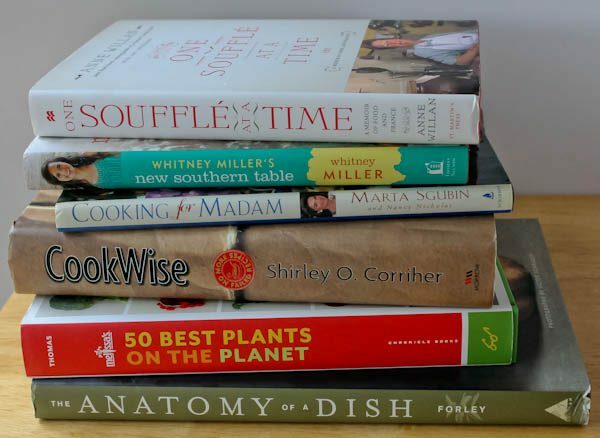 I could not be happier these cookbooks found such a great home. Happy Cooking! Thank you, Cathy! I LOVE the books. They will be treasured here! I can’t wait to try some Martha’s Voneyard Iced Tea! Looks great.